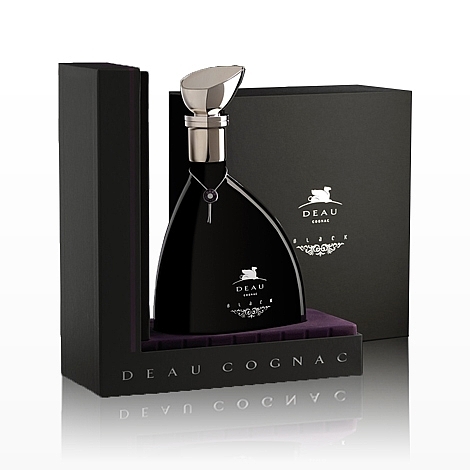 DEAU Black is comprised of eaux-de-vie made from grapes that have grown in the Grande Champagne and Petite Champagne regions of Cognac. DEAU mature this eaux-de-vie in new oak casks, which, being untouched virgin wood, would likely infuse the Cognac with heavy wood flavours. DEAU then move the brandy to older casks, which impart less tannins into the Cognac but still serve to mature the spirit. 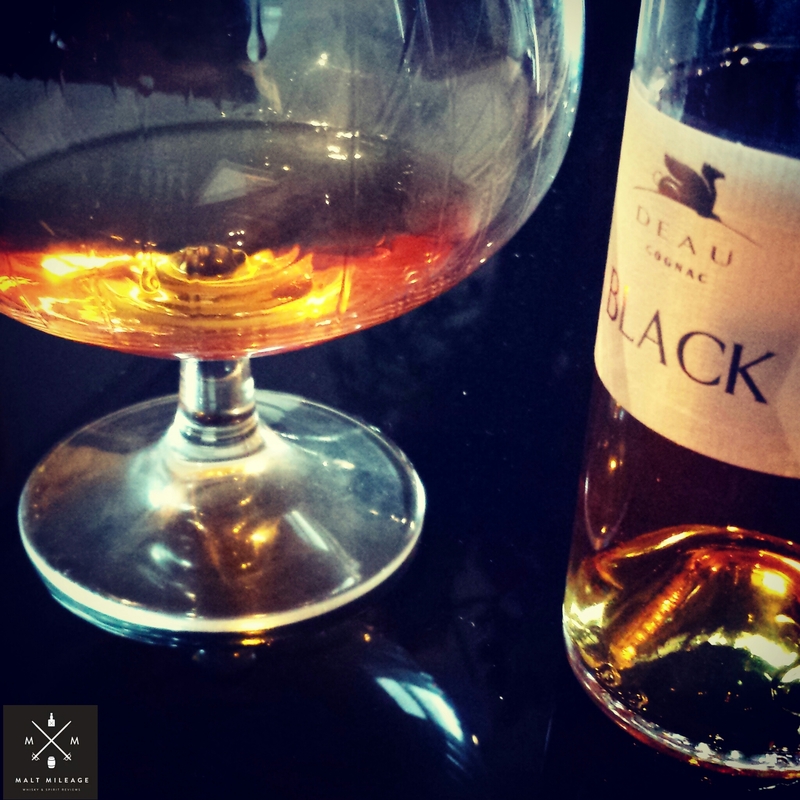 DEAU Black takes its name from the colour of the tasting glasses that were used during blind tastings of the Cognac, a practice which I can only imagine is used to ensure the tasters are not prejudiced by the colour of the Cognac and instead only rely on aroma and taste. The aroma of tropical fruits is first noticeable, with lychee, pineapple and other tropical fruit in syrup being most prominent. The layers of tropical fruit are accompanied by creamy chocolate, spice, bay-leaf, eucalyptus, honey, soy, BBQ Chinese pork, sizzling sweet and sour with pineapple, pine nuts, pistachio baklava, hazelnut gelato, lemon curd, menthol Turkish delight, truffle oil, walnuts, old leather and Christmas cake with icing. The tropical fruit notes move seamlessly from the nose, but the lychee is fresh and the pineapple syrupy and tinned. Refreshing menthol then emerges with orange peel, citrus oils, sweet infused tea, fresh flowers, cocoa and curry powder. Mild wood notes and rigid spice, similar to cracked pepper, develop at mid-palate when the Cognac is aerated and slurped. On the finish the palate is prickled by mild spices which are softened by sugars, glazed cherries, mild nutmeg, the taste of a freshly opened cigar box and teas galore – watery rose gray tea develops into a raw sugar sweetened milky earl grey tea, and then mildly nutty Russian Caravan tea with milk. The taste of milk chocolate, nuts and red gum honey lingers as the tea notes fade. Buy it, if you can find it and it is within your budget. This is a Cognac that glows with delicious flavours often associated with very old Cognac – find lychee and tropical fruit, eucalyptus and other notes. This is a serious Cognac, for the serious Cognac aficionado. This entry was posted in 4.5stars, Cognac and tagged Brandy, Cognac, DEAU, France. Bookmark the permalink.